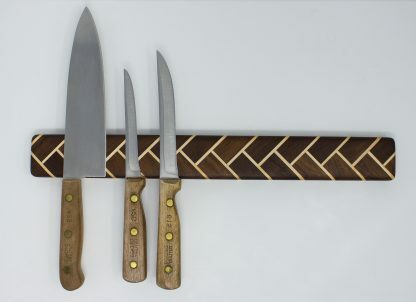 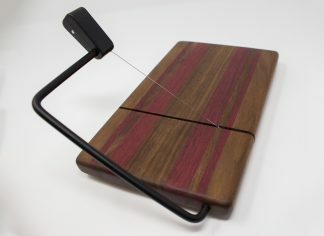 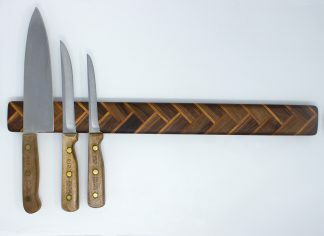 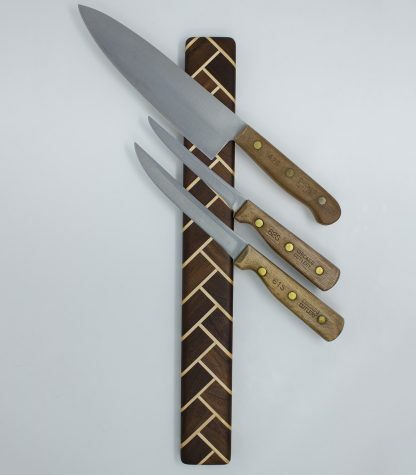 This uniquely handmade magnetic knife holder is a beautiful addition and a great space-saver for your home. 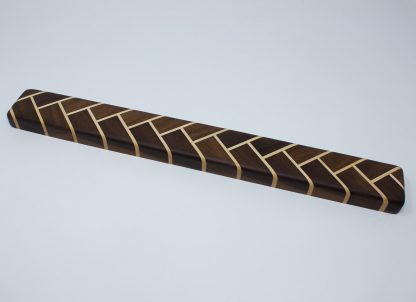 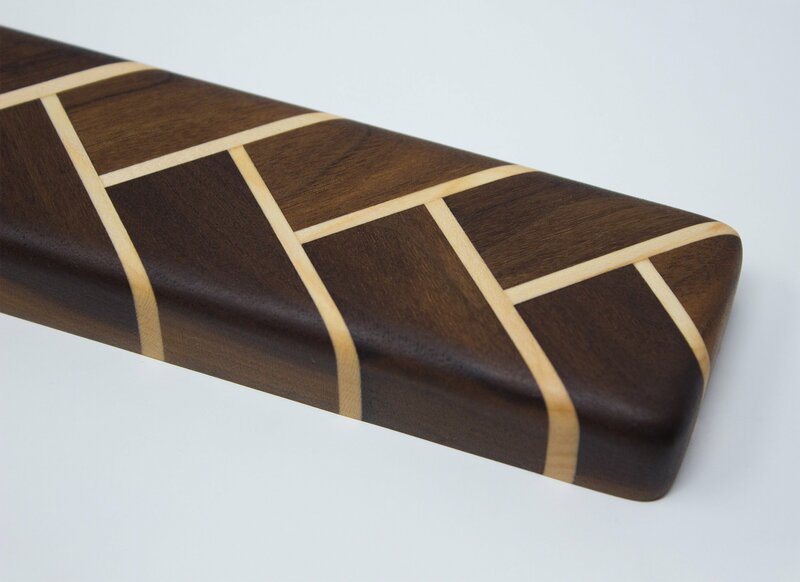 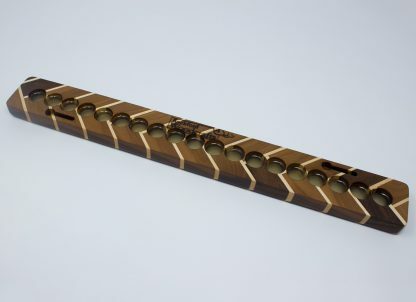 Made from alternating pieces of walnut with maple stripes it is designed to elegantly accent your decor. 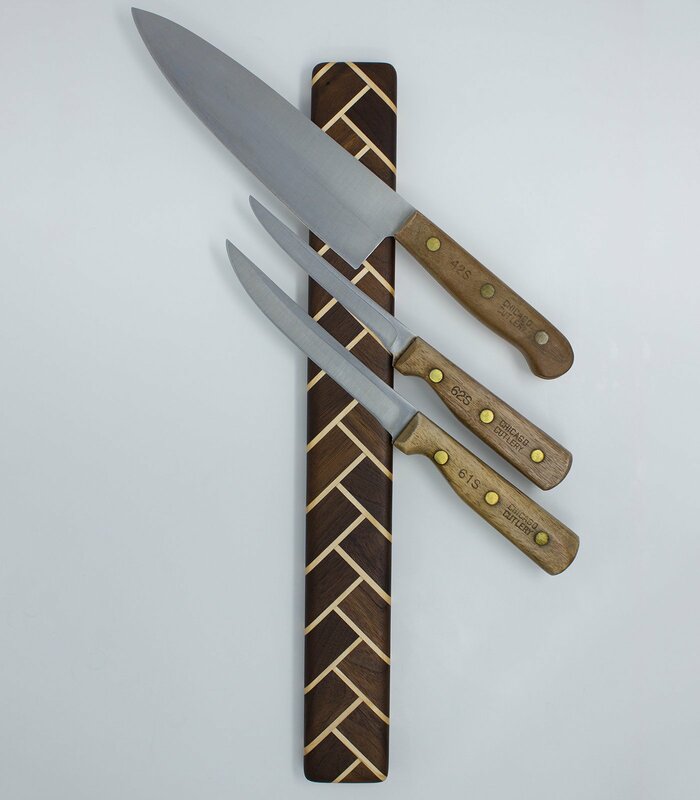 Our knife holders provide a secure magnetic grip while also allowing for easy access. 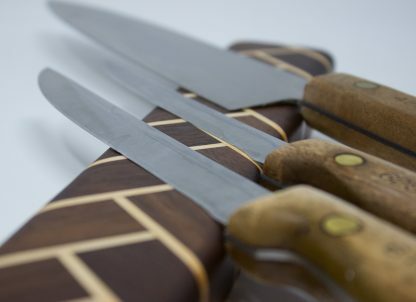 With a line of strong rare earth magnets it will securely hold knives of all sizes, scissors, tools or any other metal kitchen or workshop utensils. 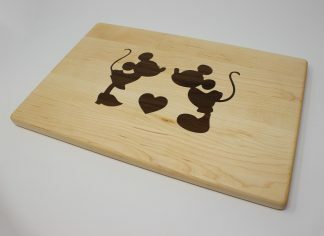 The version shown in the photos is 18″ long.